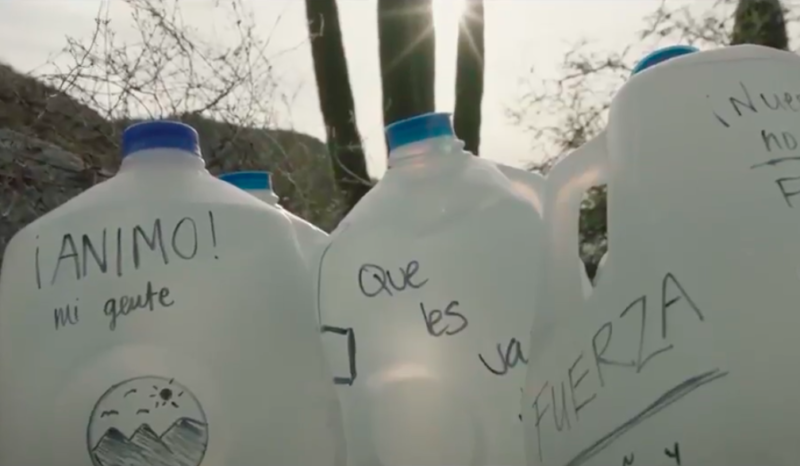 Y&R New York has recently launched it's “More Than Kind” campaign for KIND Snacks with a video spot featuring non-profit group, No More Death, who leaves gallons of water for those making the perilous journey across the U.S. border. This impactful video start off with a group of American volunteers walking the dangerous, dry and deadly Sonoran Desert. Along the way, they leave behind jugs of water for those making the treacherous border crossing from Mexico to the U.S. Produced by three-time Academy Award winning cinematographer Emmanuel Lubezki, ("The Revenant," "Gravity," "Birdman"), "More than Kind" is said to be neither a documentary or a social campaign ad. It's simply an ad produced for the popular KIND bars. Lubezki chose the group to exemplify his interpretation of the difference between “nice” and “kind.” The spot explains that the latter goes beyond nice because it involves personal sacrifice. Kind Snacks insists the issue is not meant to be political. As KIND's CEO, Daniel Lubetzky notes, “I think we wanted to spark a conversation about the importance of being kind, even to those people that are different from us," said KIND's CEO, Daniel Lubetzky, adding he wanted to stress the importance of being thoughtful and respectful to those who are in need or more vulnerable. “I think that's the type of reflection we want to cause in society — how do we take care of those who are coming into our borders to prevent them from dying in the desert and the wilderness, and how do we make sure that we at all times, particularly when things are tough, are handling ourselves with kindness?" said Lubetzky. KIND Snacks, founded 13 years ago, has been very successful, selling more than $1 billion worth of products since it started. Lubetzky hopes the company's video sparks a conversation about being "kind to others," even in a more polarized political climate. As an immigrant, Lubetzky said, he understands the struggle of people who come to America from all over the world looking for a better life, and he hopes to relay that message, as well as the message of kindness, to his customers and to a broader audience. In addition to the 90-second spot, which runs across social channels, the campaign also includes a #moreKIND contest, calling on visitors to the campaign landing page to submit videos, essays and photos interpreting the “More Than Kind” theme ahead of a January 31 deadline.